Spring has finally sprung and with beautiful weather comes the welcome excuse to get outside, just in time for Mother's Day! 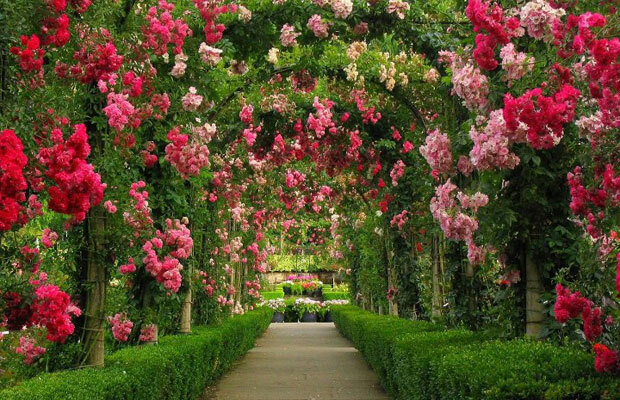 Before you get mom any ordinary plant, check out our top ten list of the most beautiful gardens around the world for some inspiration. Take mom along for the day or make a future getaway out of these. Happy Mother's Day! Known for it's beautiful tulips, Amsterdam is actually home to the world's largest garden. Offering a kaleidoscope of colors among seven million tulips, hyacinths, and daffodils, Keukenhof Gardens is a must-see for all generations. While there, enjoy the brightly colored grounds, or see one of 30 indoor flower shows, featuring an array of over a dozen different types of flowers. For the avid gardener, Keukenhof offers nature lessons and gardening tips from experienced growers. If you bring the kids along, fear not, there is plenty for them to do. Keukenhof has a playground, petting zoo, maze, and a scavenger hunt through the park. Open daily from 8am–7:30pm from mid-March to mid-May; tickets for adults are about $19, while children (4–11 years) are about $9. 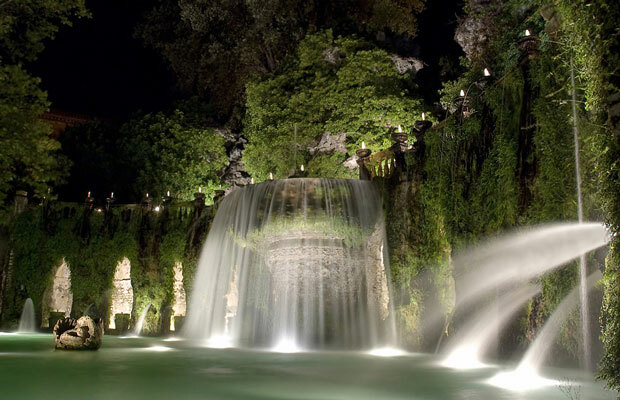 Also known as the Tivoli Gardens, Villa d'Este resembles a picturesque page out a fairytale. Filled with beautiful fountains and sculptures dating back to the mid 1500s, visitors will be knee-deep in Renaissance culture and history. Floral archways give way to meticulously trimmed, bright green bushes as you walk along the famed Le Cento Fontane (The Hundred Fountains) or behind one of the cascading waterfalls throughout the gardens. Open at 8:30am and close one hour before sunset; ticket prices vary throughout the year, so call or visit their site for more info. For a more rustic, but by no means less beautiful landscape, visit the Lincoln Memorial Garden and Nature Center. Inspired by the Midwestern landscape of Kentucky, Illinois and Indiana, visitors will encounter plants native to those three states in which Lincoln called home, such as Buckeyes, Larkspur, and various species of vibrant wildflowers. Bird hikes, nature book groups, and walking trails are just some of the many activities offered to visitors here. Perhaps the most endearing feature is the plethora of wooden park benches, with quotes from Lincoln, scattered about the 100-acre park. Open daily from sunrise to sunset; entrance is free, but you may want to call ahead as some events have admission fees. If you look hard enough, you can find a garden, even in the most unlikely of places. 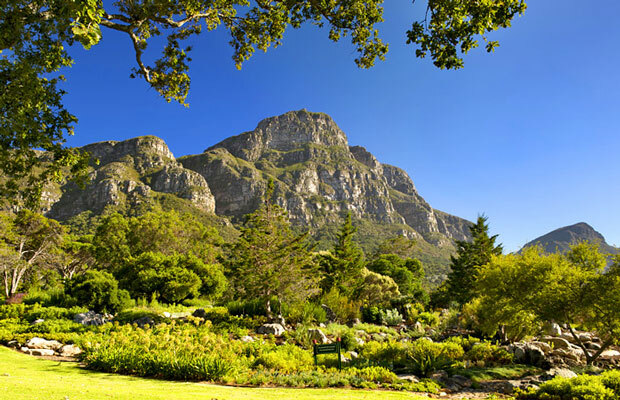 Known as the most beautiful garden in Africa, Kirstenbosch was established in 1913 and became the first botanic garden in the world devoted to a country's native flora; it's also part of a nature reserve, which houses animals and a variety of species of birds. Spring flowers blooming in the garden include lilies, conebushes, daisies, and fynbos plants. Walk the garden alone or go on a themed walk, visit an artist exhibition, or enjoy a special concert. Open daily September through March from 8am–7pm; daily April through from 8am–6pm; admission is about $4.63 for adults and about $1.10 for kids. If you're looking for a garden with variety, look no further than the Nong Nooch Gardens in Thailand. From French and Asian gardens to the Butterfly and Pottery gardens, Nong Nooch has it all. With new additions and constant updates, Nong Nooch is ever changing, featuring strong architectural shapes and lines in one garden, and soft, delicate swirls and twirls in another. Open from 8am–6pm; included in the $15 ticket price is full access to the park as well as Nong Nooch's famous Amazing Thai Cultural shows and Elephant show. Take in the 55 acres of family-owned flora at The Butchart Gardens. Rhododendrons, magnolias, pansies. and tulips are currently in bloom along with many other varieties listed on the Weekly Flower and Foliage Report. As you wander throughout the gardens, feel free to toss a coin in the many spouting fountains as you enjoy the colorful scenery. If you plan on visiting the gardens on Mother's Day, take Mom to afternoon tea or a specialty buffet. Rates as well as hours of operation vary from month to month so visit the site for more information. You may recognize parts of the Mirabell Gardens from the beloved classic, "The Sound of Music," where Julie Andrews frolics around a Pegasus fountain in a garden with luscious green hedges. Opened to the public in 1854, Mirabell Gardens features classic designs from the Baroque age in Europe. It's known for its unique Dwarf Garden, which has a multitude of tiny, misshapen marble creatures, as well as the "Heckentheater" or "hedge theatre," which is now used for summer concerts and performances. Always open and free of charge to the public. Originally purchased in 1903 as a ranch, the Huntington Botanical Gardens is home to more than 14,000 types of plants and 12 different gardens. Perhaps the most unique is the Desert Garden, which features several varieties of cactus plants from oldest to newest and biggest to smallest species. 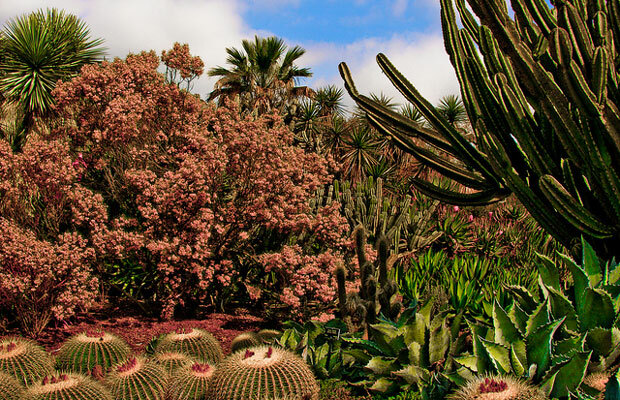 Nearly 100 years old, the 10-acre cactus garden is a must-see for those looking for an unexpected garden experience. Hours of operation and admission fees vary depending on the day, so visit the website to learn more. You don't have to be an art lover to appreciate the beauty of a painting by Monet. Visit the Claude Monet Gardens, where the he found much of his artistic inspiration. Walk along paths lined with trees, plants, and an array of flowers. Carnations, roses, poppies, pansies, bellflowers, sweet pea, and blue thistle are among the large variety of flowers featured throughout the gardens. Open daily from March 29–November 1, from 9:30am–6pm; tickets for adults are about $12, while children are $8 (admission is free for children under the age of seven). Opened in 1740, Stourhead Gardens has continually maintained its reputation as an elegant landscape. With a lake as the centerpiece, temples, beautiful grottoes, exotic trees, and bright flora surround the gardens. Take a walking tour or roam around by yourself (you can easily get lost in the beauty). Step inside and take a grand tour of Stourhead House; you'll learn about classic paintings and works of art. 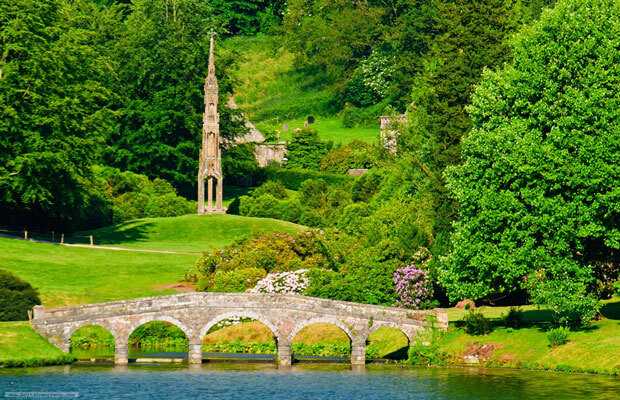 A visual retreat to visit year round, Stourhead Gardens is a beautiful escape to the English era of mansions and marble. Hours of operation are from 9am–7pm; ticket prices vary depending on how much of the Gardens you wish to see. What are some of your favorite gardens around the world? Did we miss any?